As noted in the World Report on Violence Against Children, “Documentation of the magnitude of violence against children shows clearly that this is a very substantial and serious global problem” (Pinheiro 2006, p. 6). The report emphasized that violence against children occurs in every society and country and has a profound impact on the holistic health and well-being of children. This report also highlighted the importance of equipping parents and caregivers of children with the knowledge and skills to parent without violence. 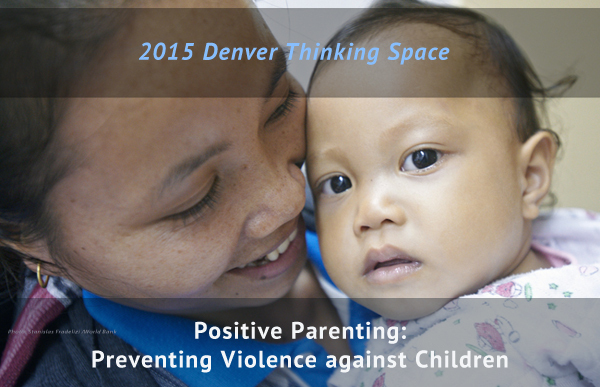 To that end, the thoughts and ideas that came out of the Thinking Space were published in a paper that our colleagues, both locally and globally, can use to better serve children and families.